Founded in 1995 Liquid Force have been a leader in wake boarding equipment shortly after in 1999 they started kitesurfing too and have been dedicated to innovation, functionality and amazing quality ever since. Chill out by the fire and stay warm down the beach with the Liquid Force Panchito Fleece. 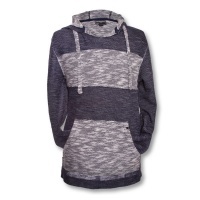 A super comfy, snug and lightweight pullover!